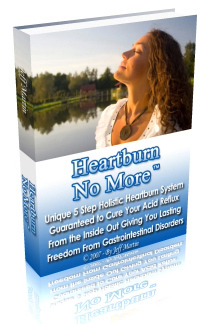 Why heartburn medications are becoming popular? 1. Continuous rise in the number of GERD (or acid reflux) sufferers in western countries. Approx 25 million acid reflux patients with chronic heartburn have lived in 2006 in theUSA alone. 2. GERD drugs are heavily promoted, either by the drug companies using commercials or by physicians who prescribe them to patients. 3. Those drugs are more and more available to the consumers. Some of these drugs, that were once available only by prescription, can be easily purchased over-the-counter. About a decade ago the Food and Drug Administration approved the over the counter sale of Pepcid AC , Tagamet HB, Zantac 75 and several other medications that previously had been available only by prescription. Facing the growing popularity of heartburn medications, you might wonder whether the drugs are effective at all when it comes to fixing the root cause of this medical condition and whether the temporary relief is worth the side effects. Before making a final conclusion on this issue, let's briefly discuss what is acid reflux disease and heartburn- its most common symptom. The physiological process associated with GERD is the abnormal duration of the esophagus exposure to digestive juices. One of the factors that contribute to this condition is a weakened lower esophageal sphincter (LES). The LES is a ring of muscle that acts as a valve between the esophagus and the stomach. In the case of acid reflux disease, the LES does not close properly and stomach contents splashes up into the esophagus, causing heartburn. Another contributing GERD factor is poor esophageal clearance of gastric juice. In addition to those local acid reflux causes, there are also genetic tendencies (which we cannot control) and several other internal factors and co-factors, that create the environment leading to acid reflux. Without tackling those internal factors, there can be no effective long-term solution for this medical condition. 1. Antacids, such as Alka-Seltzer. They work by neutralizing the acidity in the esophagus. Their effect lasts up to a few hours. When the antacid is taken, it immediately starts to neutralize the acidic juices in the stomach, rendering them less offensive to the esophagus. 2. Alginates create an ark that surrounds the stomach contents and reduces reflux. 3. H2-receptor antagonists, such as HB, Zantac 75 , and Pepcid AC. These drugs stop the gastric system from stimulating stomach acid production by blocking the cells' ability to secrete acid. H2-receptor antagonists must be taken before heartburn strikes to achieve relief. 4. PPI (Proton pump inhibitors), such as Nexium, which block the system in the stomach cells (known as the proton pump) that releases acid into the stomach. Trying to treat heartburn by taking the above medications has some serious downsides. First of all, these medications have various side effects, including headache, diarrhea, and even osteoporosis . Secondly, their impact is limited in time; therefore they may create physical long-term dependency. Finally, relying on medications in order to overcome heartburn is a band-aid approach, mostly aimed at calming the symptoms while neglecting the root cause of gastroesophageal reflux disease. Neglecting the causes of heartburn can, in time, aggravate your condition and even lead to serious health complications. Did you know that your painful, distressing heartburn symptoms of GERD could be permanently and effectively eliminated without the need of heartburn medication? Adhering to the holistic approach (by taking specific herbal and vitamin supplements while following a complete set of dietary principals, detoxification and Candida control protocols) can cure your medical condition naturally and prevent its recurrence.